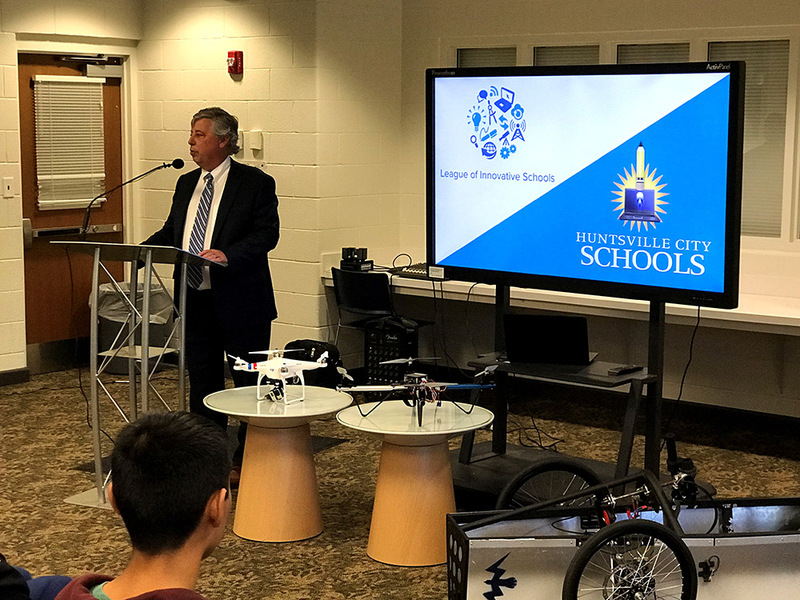 Digital Promise has selected the Huntsville City School District as one of only thirteen districts in the nation for the 2017-2018 League of Innovative Schools cohort. The coalition connects the most forward-thinking school district leaders to work together and share the pioneering and creative learning practices that lead to improved outcomes for students and helps to prepare them for the future. Huntsville will be one of only three school districts in Alabama accepted into the organization which has a total of 93 school districts in 33 states. Superintendent Dr. Matt Akin says that he felt very fortunate to “come to a community in which so many people have already worked to change education through technology and innovation, and I am honored to be a part of a team to continue that work for our students.” The League of Innovative Schools offers an opportunity for Huntsville City Schools to continue that innovative work, by connecting the district with other school systems across the country to help establish best practices, as well as discover new ideas from a diverse group of educators. 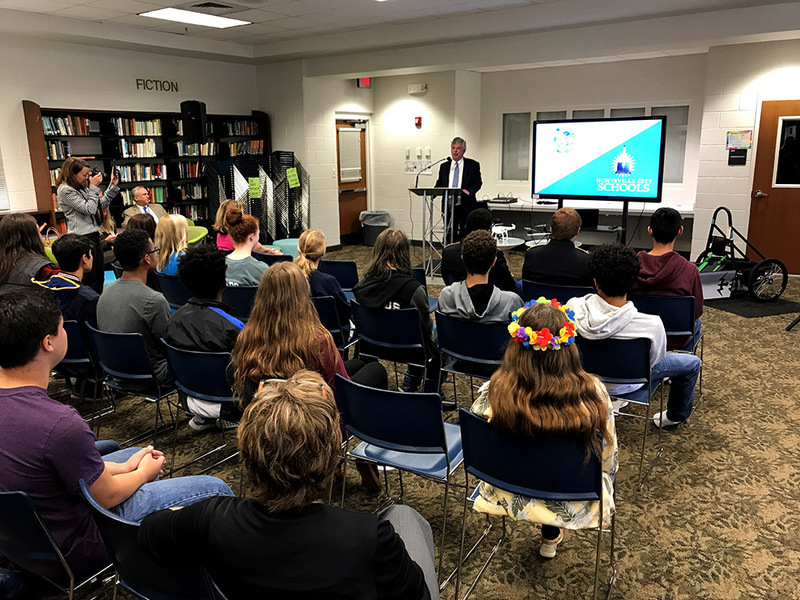 According to Roy Albright, a Media Arts Magnet Student, "we get to know what other schools are doing, [...] and give them things that we do." He adds that the interconnected league could potentially help to improve education across the country. In the fall of 2013, Huntsville City Schools made the move to an all-digital learning environment with 1:1 Windows laptops for all students in grades 3-12, and iPads in Pre-K through 2nd grade. A wireless network provides all students at every school reliable and equitable access of digital material and resources. The shift to a digital curriculum has created educational opportunities that have impacted students in every grade.